A must-have for your dressing-up box, this chic Obsession A Venetian Masquerade Mask lets you set your own trends when it comes to your style. 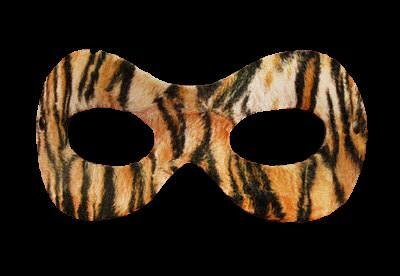 Designed in tiger print, this stylish mask lets you create a unique look. Simply wear this mask with your favourite party dress to create your own look and start setting the trends this season. All our masks are hand made and in Venice (are other sites?) No two leather masks are ever identical and as such patterns may & will vary slightly on each one.